FLEXIBLE AND TURNKEY RENTAL TRADE SHOW BOOTHS TO HELP YOU DRIVE LEADS TO YOUR BUSINESS! If your trade show budget is constrained, but you still need to make a big impression, consider the cost advantages of rental displays. 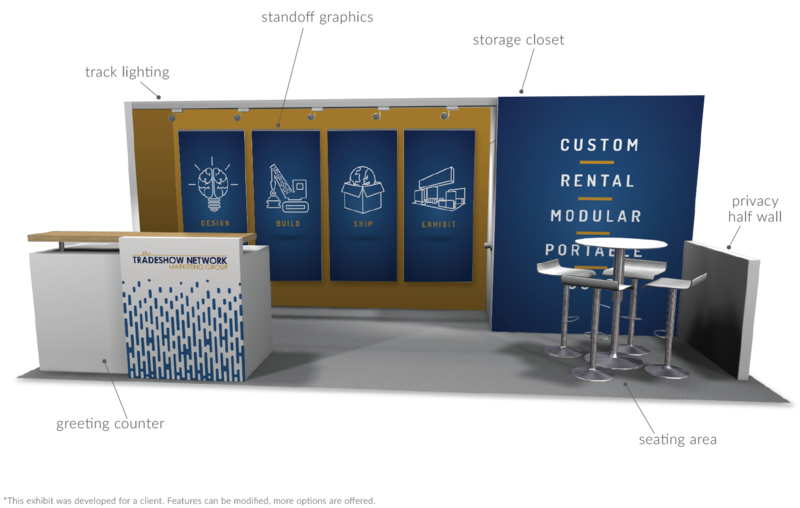 You can determine all your display costs upfront because a rental exhibit comes as a bundled package, including design, booth hardware, custom graphics, freight, set-up and dismantle. If you have one or two shows that are larger than the others or two shows that overlap, then renting a larger booth for one or more of those events may make economic sense. Rentals are a perfect solution for international shows where shipping costs are high. A custom feel without the commitment.